Visiting Curio was such a lovely experience! I’m really glad I was able to visit, and the storekeeper was so helpful and friendly! It was great - very cute and the store workers were very helpful. Curio was a super cute store. I had shopped their products before at farmers markets, but did not realize that they had a brick and mortar. It was a small, but lovely storefront that was well curated. 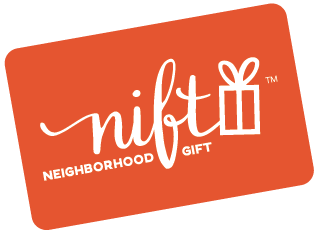 When I got the Nift for Curio Spice I had to look up where it was and found it was in a neighborhood I had overlooked and quickly discovered it was an area with many interesting local businesses. I ended up going to dinner at the restaurant next door, Urban Hearth, last night as a result! Curio is a really lovely and convenient addition to the neighborhood. I prefer to buy spices in stores rather than online (for quality-assurance purposes), and they always have a huge range of high-quality products. Great customer service and product selection. I’ll be back. Very nice spice store. Friendly and helpful staff. Will return someday. Very lovely shop, and personable help provided. Curio is a wonderful little shop for spice exploration! Curio is a great spice shop with interesting spice blends and very fresh spices. Food Nifts are the best! It was a really cool shop! I want to go back with my roommate. Beautiful space with really interesting and unique spices. Good prices and the help was friendly and knowledgeable. Would definitely recommend to others and would go back! Thanks, I would not have otherwise discovered this cool store. The shop was very welcoming, and the staff was very helpful! Picked out a nice selection of spices for a Christmas gift. Good place to find nice pepper, salts, and spice mixes. Great little shop - so much to choose from! The staff was super helpful in helping me find a holiday gift for a relative. Everything smelled great, and they had a good amount of variety in terms of flavor and price points. The store smelled fantastic and the staff were friendly and helpful. I had a most positive experience because one of the staff (Maya or Maitra, not sure of her name) came out to answer some of my questions about the spices. She told me some of the spices she likes cooking with and even recommended a recipe to me. She was very calm and clearly loved working there, and it made the experience even more pleasant for me. The shop is charming. I spent a long time browsing. There were so many lovely things to look at. Curio Spice is a lovely little shop that I could spend an hour in, just browsing and smelling. Such a wonderfully curated selection of beautiful oddities and more specialty spices than I could use in a lifetime. Highly recommended for an adventurous spirit. Friendly people, great products. Found a perfect gift for my in laws! Awesome place with friendly, helpful, outgoing staff. Great little shop with many unusual offerings. Worth a special trip! Big selection of unusual items. This store is amazing! They have so many spices I’ve never even heard of and I am so inspired to get cooking. Will definitely return. The Curio shop is wonderful - friendly staff, beautiful displays, great products. Will be going back. Spindler and Curio are both fantastic places! Very friendly and helpful staff! Excellent selection of products. A good collection of spices and seasonings that are not so easy to find elsewhere. A well-designed store too. Beautiful store. Would t have known about it if it weren’t for the Nift gift. Curio Spice is fantastic! High-quality, unique products and attentive, knowledgeable service. I love this place! I’m so glad Nift finally got me to this lovely shop! It’s beautiful, the staff is warm, and the products are wonderful! Such a cute, unique shop! I love that you can smell the products. I wanted to buy so many things! Loved curio and all their great spices! The blends were excellent. Will absolutely be coming back. Thanks Nift! Curio is such a beautiful shop! The staff is so friendly, and the environment was very well curated. Great and unique shop. I’m not that adventurous of a cook so I probably wouldn’t normally go here to spend the money on spices, but the Nift was a good excuse to check it out. It’s pricey but they sell very unique spices. If I ever had a recipe that called for an uncommon spice, I would go here. Curio is an amazing shop! I'm so glad that Nift brought me to this shop as it may have taken me much longer to find it myself. I will definitely be back to buy all of my spices! Grocery store spices be damned!! Wonderful shop, amazing and unique spices and herbs. Helpful, nice set-up allowing customers to checkout (smell!) the spices! Great customer service. Amazing ambiance. Overall extremely positive experience and left with a full basket! The shop is beautiful, the saleswoman was very friendly and helpful. I can't wait to use my new pickling kit! It was super great! So many fun and exciting spices, but also basics like pepper! Super knowledgeable staff. Makes me want to find recipes specifically for some of the spices. They have such a great range of items. The spices are fresh. Unusual recipes to try (tomato sauce using a vanilla bean) and lots of things for gifts. Very nice store I’ll definitely go back ! Very cute store with a lot of unique gifts and spices. Sales person was very helpful in making suggestions as it was my first time in the store. I appreciated the nice customer service I had in the store. Very friendly staff; they asked if I were looking for anything, then left me alone to browse when I said I was just looking. They also pointed out a couple relevant things once I made my selections and took them to the register. I can't wait to try out my purchases! Friendly and knowledgeable! Great selection of spices. They try to source their spices directly from suppliers and also have locally sourced spices. Super friendly. Cool little shop that I would not have found otherwise. A fancy store with lots of options. I picked out a nice gift, and they wrapped it up beautifully. Store is in a good location, I could easily walk from Davis sq station. I liked how you can sniff each spice blend and see what you like. Lots of great options, very friendly staff! Super cute shop, very reasonable prices, kind and helpful employees, it was great! wasn't as pricey as I thought it'd be. very friendly and they have unique spice blends. cool specialty shop for a foodie. Great place, awesome spices and salts and they offer classes that also sound great! Will definitely be back! This spice shop is amazing and the staff are very knowledgeable. What a treat! Love the free recipe cards and unique spice mixes! A wonderful little shop full of delicious treasures for gifts or just yourself! It was an amazing experience. I walked in and was overwhelmed because even though it’s a tiny shop the selection is huge. After wandering around the store and wondering how do I know what to buy, a shopkeeper cake out and helped me, walking me through the selection carefully and patiently. They helped me find something I’m very happy with and even took the time to wrap it up in a cute box and talked to me so nicely and casually. It was a great time and I’d totally recommend it! Great for gifts. Will be returning! Wonderful shop with a unique assortment of spices! Lovely store. Friendly customer service. Curio is literally my favorite place to shop (for myself and for gifts) in Cambridge, and possibly in the greater Boston area. I am so lucky that I received a Nift to use there! great products and great customer service. Can't wait to get home and cook. They had several really nice spice combinations. The staff was friendly and helpful. I have already recommended them to several people. The smell of spices hits you as soon as you open the door. What a wonderful little store! I will be returning! Thanks! Great concept. I wouldn't have made a purchase without it -- not only did having the gift certificate remind me of the store but it prompted me to realize that it would be an ideal place to buy a hostess gift. I was thrilled to use it and I will be back to the store again! Very nice and friendly staff, interesting selection! Wonderful shop and fine collection. Very helpful staff. I will shop there again. Telling all my friends. The spice shop was beautiful! I loved the selection itself as well as the packaging. We ended up buying three spices that we are so excited to try out. The woman at the counter was very friendly and helpful, recommending spices to smell and giving us a sample of special saffron candy. Friendly, informative staff. They truly offer a unique selection of spices. I'm glad they are there and will go back. I spent more than my coupon's worth. Really cute and well thought out store. The woman working gave me a great recipe on the way out so I'll be back for supplies soon. I can't wait to go back! I've been wanting to visit Curio for a long time and this Nift was just the thing to get me to go. I will be back. Customer service is delightful and educational. Highly recommended! Beautiful, high quality spices and herbs. Loved going in there and smelling everything. Came home with some really neat spice mixes! I loved Curio spice! I have lived around the corner for a year and never been - it's a super cute little shop with numerous spices and blends from around the world. Will definitely be back when I find a cool recipe that I need an authentic spice for!! Also they do classes so I signed up for the email list, sounds like a cool opportunity and I hope to attend one! Thanks!! I have walked by this sore many mornings before they were open. The Nift prompted me to go during business hours. I will definitely return. Great selection for gifts. i walked in the store and the smells were wonderful. the spices were beautifully displayed almost like a curated library and I walked around taking note of the names, the blends and opening sample jars to get the scent, I really enjoyed the visit and purchased four different spices including smoked paprika and shitake mushroom powder, as well as a cute little accacia spoon. Prices are reasonable and I plan to go back regularly for herbs and spices. Wonderful people and a beautiful shop! Amazing atmosphere, the sales clerk was so sweet and attentive. Very knowledgeable not only of the spices but the best foods/preparations for them. The rosemary olive oil cake was the cherry on top! It was great that Curio was open a little later on Thursdays! I was able to stop in and chat with the owner after work. She had some great suggestions and made me feel comfortable taking my time wandering around the shop. She also carried a certain chocolate bar that I haven't seen in the US in so long. Such a cool store; I'm really glad I stopped in. Beautiful place. High quality products and friendly, knowledgeable staff! Loved this! Great way to experience new businesses. Great place. Very friendly and helpful.